We at the Shared Path are working towards a future in which Indigenous voices and rights form an integral part of the Ontario land-use planning process. To work towards that vision, our intention is to illuminate the intersection between Aboriginal and Treaty rights, and Indigenous interests, within the urban and regional planning process; to provide education and awareness opportunities for professionals, academics, and students interested and involved in consultation efforts between Indigenous and non-Indigenous communities. To work towards our Vision & Mission, we focus particularly on promoting communication and relationship-building between municipalities and Indigenous communities. SHARED PATH CONSULTATION INITIATIVE (SPCI) stems from many conversations between Indigenous consultation staff, municipal planners, environmental lawyers, archaeologists and other stakeholders. It began with the idea of creating an online resource, a clearing house, which would provide useful tools for all those participating in the consultation process. Under the name of the Aboriginal Consultation Initiative, Carolyn King and Clara MacCallum Fraser developed a two-year exploratory partnership with the Mississaugas of New Credit First Nation (MNCFN). This initial research was supported in its first year with seed funding from Archaeological & Cultural Heritage Services (ASI), as well as the McLean Foundation. The Shared Path Consultation Initiative in its current form, began to truly take form during a year of collaboration with the Negotiating Justice Research Group, funded by the University of Ontario Institute of Technology. This collaboration culmination in a two-day roundtable gathering (link) bringing together experts from throughout Ontario, to discuss Duty to Consult & Planning in Ontario – examining the context today, for a just tomorrow. Hosted and supported by the Ontario University Institute of Technology, it was from this collaborative meeting that the name Shared Path Consultation Initiative, vision, and goals were formed. The name “Shared Path Consultation Initiative” reflects the collaborative nature of this innovative group. “Shared Path” signifies our acknowledgement of the varied pathways to knowing and acting, our belief in the importance of treaties (especially, Indigenous wampum belts symbolising friendship and ethical sharing of land), and our commitment to hold up Indigenous values and epistemologies as vital to making meaningful change in a good way. “Consultation” signifies our focus on emerging processes of consultation and accommodation. “Initiative” signifies our efforts to “take the initiative” and find innovative ways to address gaps within planning practice and education. We gratefully acknowledge the funding of the Greenbelt Foundation and greenbeltfresh.ca. Carolyn King is the Chair and co-Founder of the Shared Path Consultation Initiative. She is the first woman to have been elected as Chief of the Mississaugas of the New Credit First Nation (MNCFN) (December 1997 to December 1999). 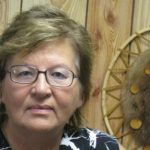 She has over 25 years of work experience in the field of First Nations community development, and extensive experience in public relations, economic development, the development of environmental planning policies and procedures, and establishing community radio. She is a Board member on numerous local community-based organizations and has served in municipal, regional, and national levels. She has been given numerous awards, including the Queen Elizabeth II Diamond Jubilee Medal (2012) in recognition of her support for First Nation history and the advancement of Aboriginal Peoples. Clara MacCallum Fraser is the Executive Director and co-Founder of the Shared Path Consultation Initiative. She holds a BA in Political Science & Arabic Studies from Concordia University, a Masters in Urban Planning from Ryerson University. She is currently conducting a CGS-SSHRC funded Doctorate in Environmental Studies at York University. 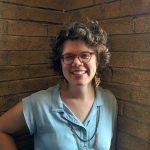 The focus of her research is on the intersection of land use planning and Aboriginal & Treaty rights. With the Shared Path, Fraser is a 2017-2018 Partner at the City Institute at York (CITY).